Cumbria and the dramatic Lake District lie to the West. Plus other places of interest close by, look below. From stunning waterfalls to England’s highest mountain and deepest lake the scenery in the Lake District is spectacular. In England’s largest National Park you will find a wide choice of attractions and activities that can be reached in an easy hours drive to the west. For a fantastic guide to walking in this beautiful region click here and then click on any flag for full details and photographs of each fell. Lanercost is 5 miles to the West of Gilsland close to the path of Hadrian’s Wall. The Priory dates back to 1169 and remains remarkably well preserved, standing close to Hadrian’s Wall. Converted outbuildings next to the Priory include a delightful tearoom and restaurant, farm shop and gift shop. This small market town, 9 miles west of Alpha Rise, has several shops, pubs and takeaways. Talkin Tarn lies 2 miles South of Brampton, here you can hire a boat or simply stroll around the lake enjoying the magnificent scenery. Opposite the entrance to the tarn you will see the James Braid designed Brampton Golf Course. This is known as the “Jewel of Cumbria” in golfing circles and provides a good test with spectacular views. If a spot of fishing takes your fancy then the New Mills Trout Farm is on the Eastern outskirts of Brampton. To the west is another scenic walk at Gelt Woods. 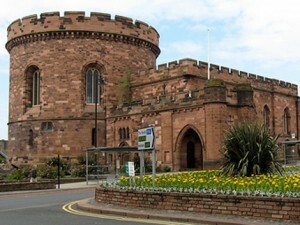 The Border city of Carlisle lies just 18 miles to the West. With a largely traffic free shopping area, you will find everything from well known high street chains to small independant shops. The Lanes offers 75 top name stores under one roof in Carlisles city centre and there are numerous superstores on the outskirts. This city is steeped in history with a wealth of tourist attractions including the Castle, Cathedral and award winning Tullie House Museum. 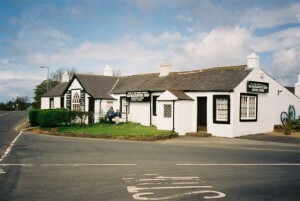 If you decide its time to get “hitched” then in 30 minutes you can pop over the Scottish border to Gretna Green which is still the No1 wedding destination in the UK. If you don’t have an outfit then Gretna Gateway Outlet Village is on hand to help you look your best! David Hall’s excellent guide to walking in the Lake District. 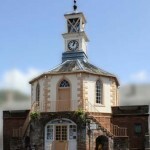 Two circular walks in Carlisle. Alston the highest market town in England.